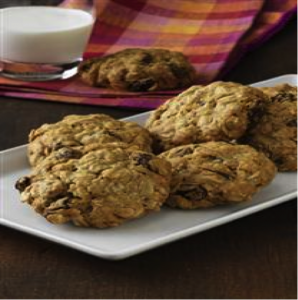 I don’t make cookies very often and when I do I want to make it an exceptional experience for my family, so of course I want to use the best ingredients, which would include Quaker oats. I’ve been thinking a lot about content strategy a lot lately, as I was planning to attend the Silicon Valley Brand Forum this week, which was on Aligning Content Strategy with Brand Strategy, and have been planning content strategy for one of our clients. So when I saw this cookie recipe on the bottom of the box, it occurred to me that this classic Quaker Oatmeal Raisin Cookie recipe was well ahead of its time. They understood that providing a valuable piece of content was a great way to grow their brand. In my few cookie sessions, I want to create only great cookies, so I will likely use Quaker Oats as they are a trusted brand. I don’t want to spend that time and then have the cookies turn out badly. The recipe specifies Quaker Oats and of course I could use any oats, but chances are that I won’t. So I’ve been essentially influenced by a trusted advisor (Quaker is an expert on oats) to make a buying decision (buy/use more product) with great content (recipe), Content marketing all wrapped into a yummy cookie! In my next post, I’ll review the key takeaways from the Silicon Valley Brand Forum on content marketing. ThinkResults Marketing is a full-service marketing agency specializing in launch and repositioning projects. We have helped dozens of Silicon Valley and global clients raise millions of dollars in additional revenue and funding. Contact us for a free 30-minute consultation on your brand project with our CEO and Founder. Email us to set up your complimentary consultation and have your questions answered.